Finally a chance to get out fishing on Sunday Am I the only one fishing Chesil Beach? Just one half decent fish is all it takes, to keep you hooked. It is all about that one fish, that keeps you going out time and time again. I am sure I am not the only one who has been desperate to get a decent fish to get this year started off. The weather has been terrible, and on the few occasions that I have been able to get out, there just seems to be no decent fish around. I have been able to take some heart in the fact that it has been pretty much the same all along the south coast. I have read with envy, a rare few fishing reports of some lucky anglers that have been able to get a decent fish. But it is those reports that keeps us going out, even when you know that there is very little chance you will be that lucky angler. For me yesterday was one of those days. I had been watching the weather all week and I spotted a potential break in the weather. I knew it would be a tight call, as experience has taught me that Chesil can calm down fairly quickly, even from the huge storms that we have had. if the wind drops quickly enough and changes direction. As you can see from the picture below I got that part right. The much bigger problem was that Chesil has been fishing pretty poorly for the past month or so. This is the normal pattern for January and February, yet we still hope that the odd lunker will be out there with your name on it. Lets not dwell on the negatives, but look to the positives. By midday I am on the beach with my friend and fellow fishing guide Paul. We have the whole beach to ourselves, for as far as we can see. We have managed to get good fresh bait, in the form of live Peeler Crab and Lugworm. Paul has brought some frozen mackerel with him as well. Why were we the only ones to have bought bait from the tackle shop, and be on the beach by ourselves? After a first cast Dogfish for Paul, and nothing else for three hours for either of us, we know why we are the only ones on the beach. Everyone but us, has stayed at home knowing that it is a waste of time at this time of year. Myself and Paul look at the conditions and the colour of the water. We tell each other that we know there wont be many fish around today; not even many Pout or Dogfish. 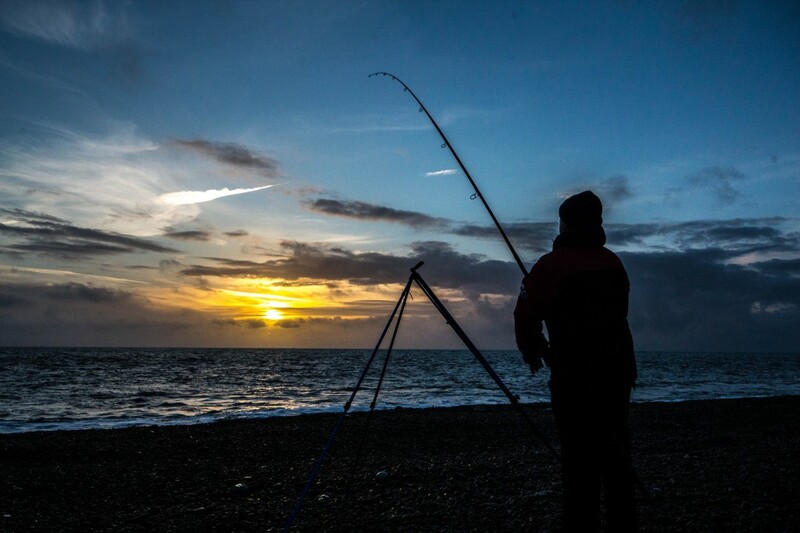 But we know that there will almost certainly be at least one lone half decent fish out there, and as we are the only ones with baits in the water on the beach, the odds, slim as they may be, are in our favour. As sunset approaches we keep telling ourselves we will surely be right! Won’t we? As once gain despair starts to settle in and I tell Paul, “I wont be fishing again until the Plaice start to appear next month”, that I see my rod tip drop back from its tightly bent down position, to ramrod straight. The tell tale of a classic drop back bite. I rush forward, grab the rod, wind in the slack and lift into the weight of a solid fish at last. I can tell straight away that it is no monster, but at least it is no Pout either. As I bring the fish closer to shore, I make sure my drag is set right. It kicks hard as it gets closer, and with the swell pulling back, I feel the line coming off my reel under the pressure of the clutch. As it gets closer and I use the waves to my advantage, I look into the water expecting to see my first Codling of the year, but that is not what I see. Instead my rod thumps and the reel releases more line, as I see a large tail and silver flank roll and dive in the surf. It is a Bass, and with aid of the incoming surf and a final pull, I beach my only fish of the day. At four and a half pound, it is no monster by any stretch of the imagination, but given the recent conditions and the lack of any decent fish, I was delighted that I had finally managed something other than a Pout, Dogfish or small Bull Huss for the first time in three trips. This is what fishing is all about. Getting out there when we can, in the vain hope that we can catch a fish that we will remember long enough to get us through the next barren spell. Spring is just around the corner, the good times are but a few weeks away. Get out there and show me you can do far better than I did yesterday. Don’t forget to send me the pictures, so I can enter them for fish of the month. Chesil Beach: Rough with 2m waves. The water is heavily coloured, and there is a long surf run off. Portland: Rough with 2m waves with coloured water. Weymouth Bay: Small waves The water is coloured. Chesil Beach forecast: Fishing on Chesil at the moment is very poor. Even the Pout and Dogfish seem to be staying away, especially down at the Portland end of the beach. Further to the West it seems that there are plenty of pin Whiting and Rockling coming from West Bexington and Abbotsbury. 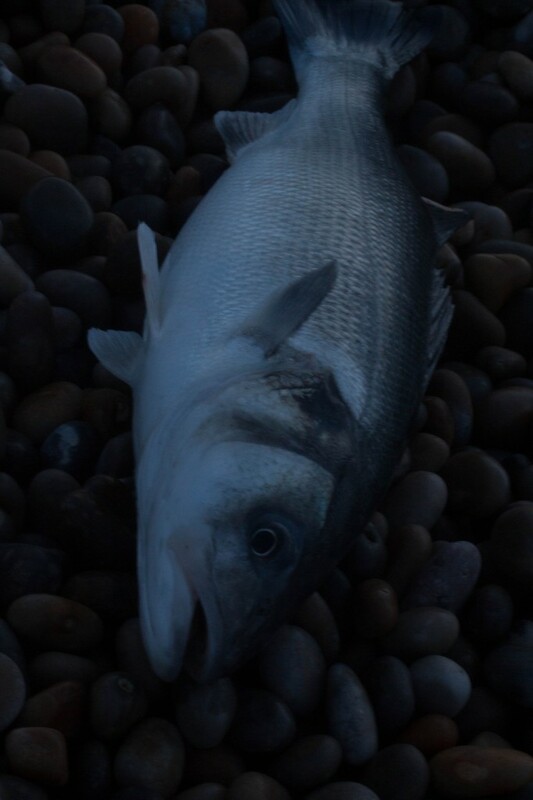 A few Dabs and Flounder have been caught at West Bay from the harbour wall, but very little else has been reported. That will be due mainly to the lack of anglers fishing. Portland: We have a few days of settled weather ahead of us. If the colour drops from the water fairly quickly, then we might see some Pollock around Portland Bill. Failing that, you could try using large fish baits to target Bull Huss and Conger. At this time of the year some of the large baits get picked up by large Rockling. Portland Harbour: With the water temperature now well below the magical 9°C mark that Bass will have moved off, but there are still plenty of Flounder and a few Dabs in the harbour. All we can do now is wait for spring again. 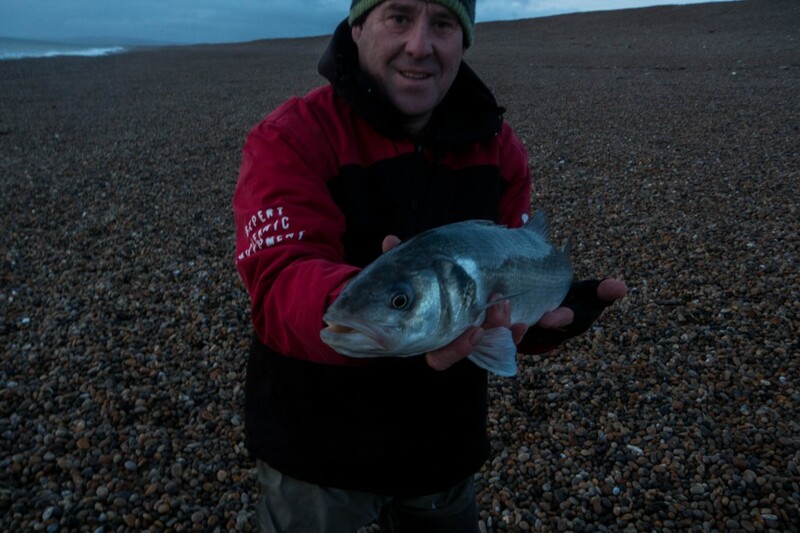 Weymouth Bay: Quite a few anglers fished Preston Beach at the weekend. I didn’t hear of any great catches, but at least it was fishable. It should continue to produce flat fish and Whiting for a few more weeks yet. Due to storm damage, the Stone Pier is closed. I do not know how long it will be until they reopen it. The pleasure pier remains open. 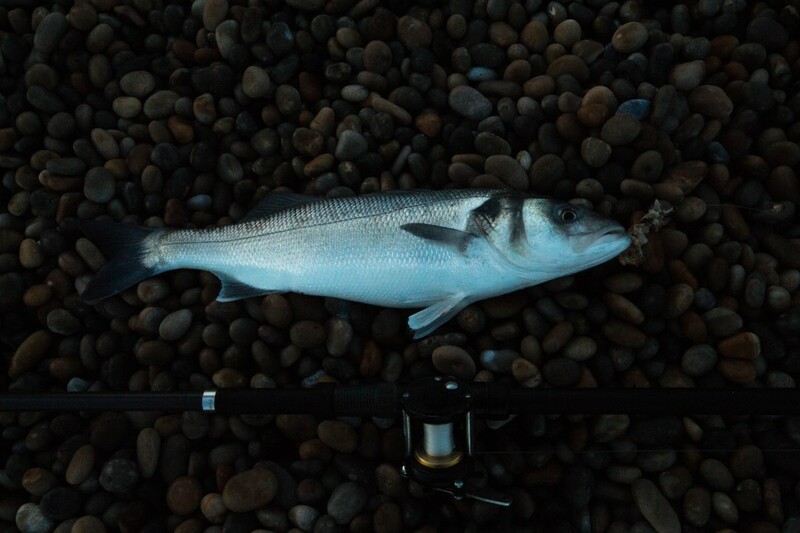 Fishing Tails > All Articles > Reports > Chesil Beach > Just one half decent fish is all it takes, to keep you hooked. One Response to "Just one half decent fish is all it takes, to keep you hooked." Thanks Sean for the report, I find it really useful. I often fish off Chisel Beach but I am a bit of a fishing virgin having only been doing it for a year. There is a lot I have to still learn.